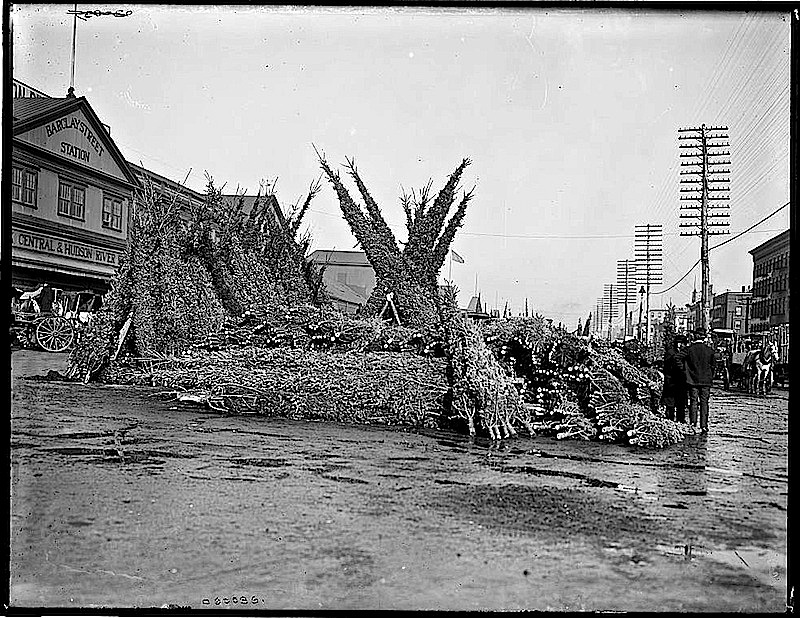 “Cut Christmas trees [at the] market in front of Barclay Street Station, New York, N.Y.,” between 1885 and 1895, by Detroit Publishing Company, via Library of Congress Prints and Photographs Division. The station was part of the IRT Ninth Avenue elevated railway line and was located at Barclay and Greenwich Streets, north of today’s Six World Trade Center. It closed with the rest of the line in 1940.
frostyfreeze turbans; iciclestuff adorn. . .